The sheer number of bamboo species can make it difficult to know how to treat and use them. This is one major challenge which the INBAR-led, IFAD and EU funded South-South Knowledge Transfer Strategies project is aiming to tackle, through its intensive training programmes taking place in Ethiopia, Madagascar and Tanzania. In the most recent, three-day training course, candidates from each country were given a custom-designed experience in the tools, techniques and skills required to study the hydrological behaviour of bamboo. This training aims to be of direct relevance to using bamboo as a way to reduce water run-off, restore degraded soil and improve soil moisture. The training was imparted to over 62 trainees from different academic, research and development institutions in Ethiopia, Madagascar and Tanzania. Special consultant Dr. Ambrish Kumar, Prinicipal Scientist from Indian Institute of Soil and Water Conservation, trained the participants on methodologies and tools available to quantify bamboo’s hydrological parameters for run off, soil and nutrient loss, infiltration, and soil moisture at different growth stages. The training was divided into classroom sessions and field exercises. During the classroom sessions, participants were taught to compute the hydrological parameters of bamboo such as throughfall, stemflow and interception. The participants were also involved in exercises related to a multislot device which gagues runoff and sediments from runoff plots, and were trained in making illustrations on water budgeting. In the field, trainees were trained on site selection: measuring the land slope, laying the countour lines, marking staggered contour trenches, constructing runoff plots, setting/fixing multislots in the field and measuring the filtration rate of soils. 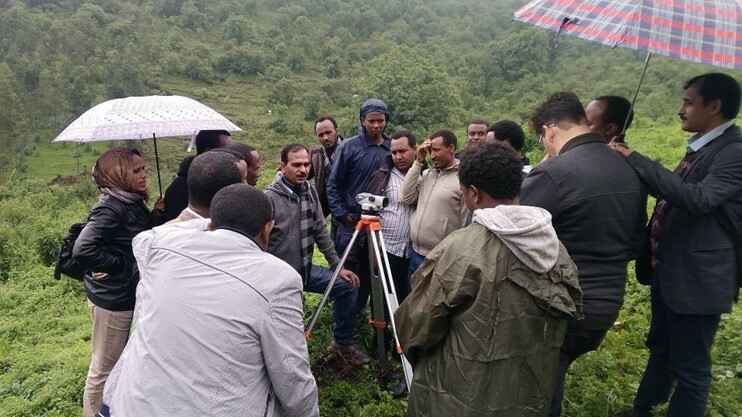 Other participants, from the Bahir Dar research center, Ethiopia, confirmed they would apply the knowledge gained from the training to their own highland bamboo research site. For his part, Dr. Ambrish Kumar is hopeful that the imparted skills will help participants in developing and monitoring efective projects for water and soil management. 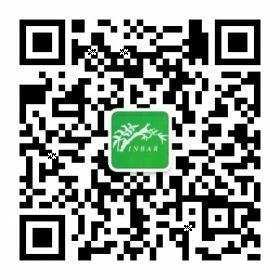 “We can see that the trainees are able to develop expertise about evaluation of hydrological and sediment under the bamboo plantation and this is a big acheivement.” INBAR will continue to work with trainees from Member states to develop follow up projects that make the most of these new skills. What’s new in bamboo construction?